For a successful skiing holiday, rent the accommodation to Grandvalira which is situated in the mountains Andorre, Andorre. This skiing resort is well known for its beautiful surroundings and breathtaking landscape. 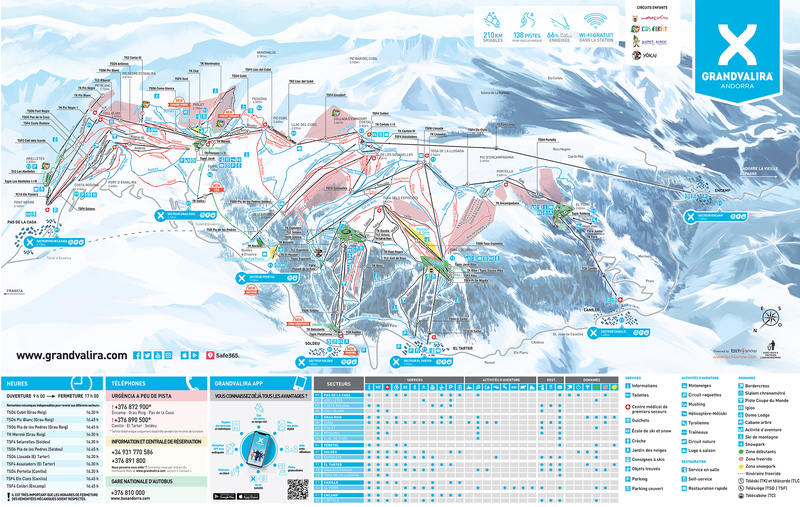 Booking to Grandvalira is easy and convenient and can be done either by phone or via our website. Each accommodation shown online is available for rent, just select the date and start date of your holiday at to Grandvalira to find out the cost. Don't hesitate, now is the time to ski !